The very precise collection of forms and colors for this museum gift shop is a nice upgrade from more sterile institutions found in numerous museum gift shops. Original design for an interesting retail shop that speaks to the Royal Alberta Museum. 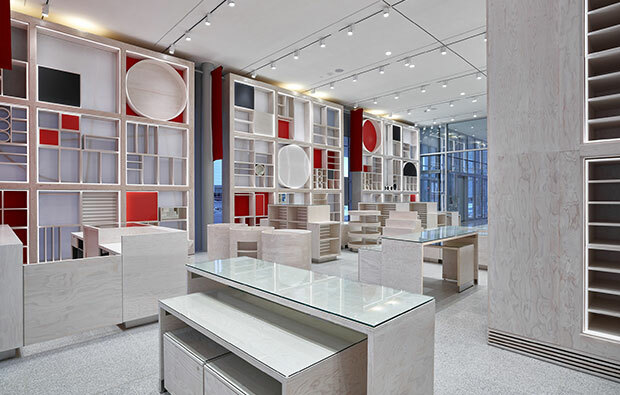 It is a display of a whimsical millwork design that provides a collection of display types defining itself as an object of interest from the lobby of the museum and streetscape. It entices a passer-by to stop and engage within the shop to explore and discover its contents within. 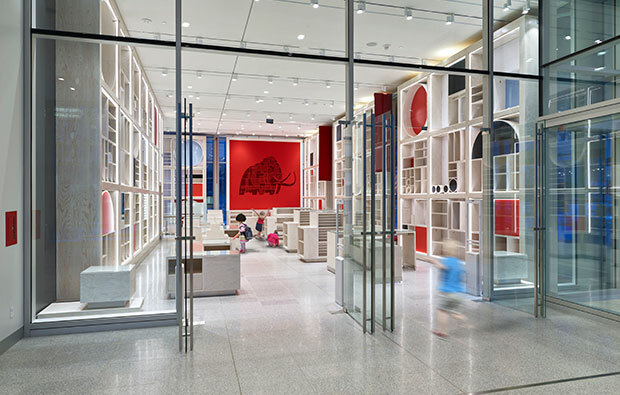 Architecture becomes object of interest to catalyze engagement into an exciting retail experience. Most gallery shops defer to forgettable displays and shelving, but not this one. 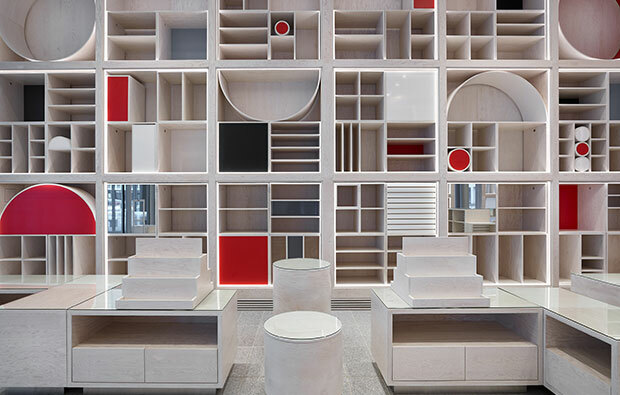 The designers have created an original and engaging retail experience defined by bold red walls, strong geometries for the shelving and white-washed plywood casegoods. As a stand alone, even without its merchandise, the space inspires the visitor to go in.